Professional and affordable lock installations in Edinburgh and lothian. 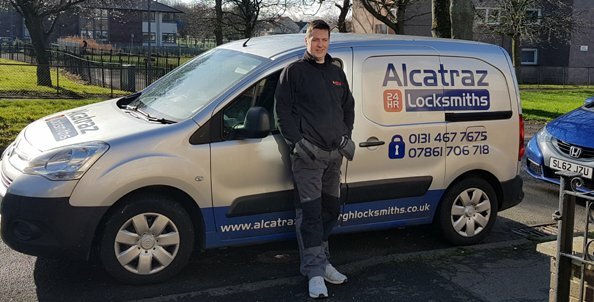 At Alcatraz Edinburgh locksmiths we provide lock fitting services 24 hours a day, 7 days a week, at prices that can rarely be beaten. Our vans are fully stocked with a range of locks designed to meet every need. From basic Yale cylinders, all the way up to high security BS 3621 British standard locks – we install the lot. 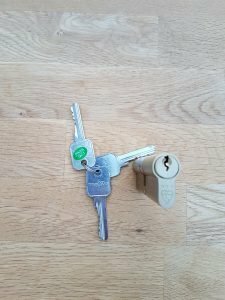 Have you moved house, and want to change the locks? Do you need additional locks installed to improve home security? Maybe you have a spare room, and need a lock to rent it out? Existing locks may not meet the insurance standards? 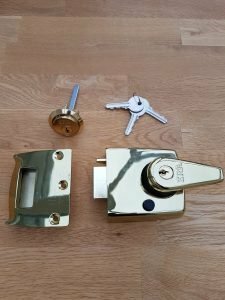 Mortice locks are probably the most secure types of locks found on a property. They are mostly fitted to wooden doors, as opposed to UPVC and metal doors. These types of locks are fitted INTO the door panel, with only a keyhole showing inside and out. When the door is locked a bolt comes out the lock and goes into the door frame. Due to the lock being concealed in the door frame, it makes it hard for intruders to tamper with the lock. Even some ‘professional’ locksmiths don’t know how to open these type of locks! 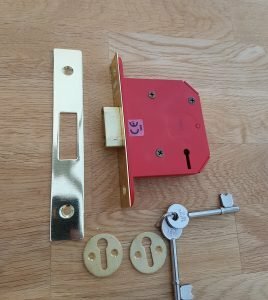 Although the 3 lever mortice is a good lock, they are better suited to doors where less security is required, such as internal doors, lock ups, and the garden sheds. The benefits of using this type of lock, over the British standard version include a cheaper price tag, and ease of installation. The 3 lever mortice can be fitted on any wooden door. Whereas the British standard mortice requires a minimum door thickness of 44 millimetres. This is due to the thick anti drill plates. Nightlatch locks are mostly fitted ONTO the back of a door, as opposed to the mortice which is fitted INTO the door. From the outside they are opened with a key, and from the inside, a turning knob or a lever. These type of locks are mostly self locking when the door is closed. This is a good feature in a way. Someone can simply close the door and the property is locked. However, people must remember if they close the door with their keys inside, they will be locked out. Most locksmiths attend this type of lockout hundreds of times a year! Security wise they are not the best locks on the market. Standard versions do not take much to open with a kick, or a wedging tool like a crowbar. They are also vulnerable to being ‘slipped’ open with a piece of plastic card. Standard Nightlatch locks are not suited to being the only lock on a door. They are better used in addition with a mortice lock. There are some exceptions to this rule though – like if the nightlatch is a higher security model. The higher security nightlatch comes with extra security features, such as an auto deadlock button (shown in the picture). When the door is closed this auto deadlock button is pressed in, which in turn deadlocks the lock, making a door much harder to force open. Other security features can include cylinder drill shields and reinforced keeps on the door frame. Euro locks are the locks being fitted to most new build properties these days. They are installed in UPVC doors, patio doors, and even some wooden doors that have a multi point locking system (handle needs lifted before locking). What most people don’t realise however, most of these locks fall below the insurance policy standards. 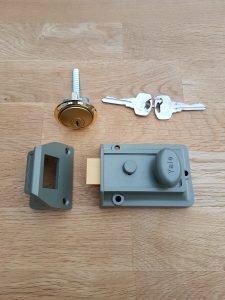 This is because standard euro locks are very easy to open for people who know what to do – as explained in the article: how secure is my UPVC door? 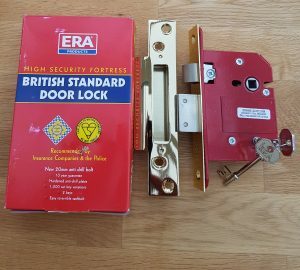 The best type of Euro lock available is the 3 star British standard version. They have the best protection from all forms of attack, such as lock snapping, lock picking, and lock drilling. The locks discussed above are the most popular locks on households today. However, they are only a fraction of the stock we hold. If we do not have the lock you require, we will happily source it, and install it for you at a time of your choosing. For more information on our lock fitting services, prices, and what to avoid when calling a locksmith, you can read our page about locksmith prices.